Getting a raise, especially in IT, where you are an expense, can be challenging- even hard. It doesn’t have to be complicated, however, and I’m going to show you how I make a case for more money and let my bosses know where I want to go in my career. I’ve divided this post into 2 sections for you- 2 major phases, if you will. The first is to know yourself. Not “Why do I want a raise?”, because everyone wants to make more money for their efforts. Not only is more money helpful, it in some ways acts as a yardstick, proving to yourself how you’re doing. I mean “Why should I (the boss) give you a raise?” You will need to sell you boss on this whole thing. That’s why you need to know yourself. When I say know the market, I simply mean to find out what other IT pros are making, doing your work, in your region. It’s different everywhere- In San Francisco, for instance, it’s not unheard of for interns (hello… interns?) to make over six-figures working for big tech companies, whereas in the middle of nowhere in Iowa, you might be lucky to make $12 an hour working IT. Remember that the salaries shown are just averages— so you can make more or less, depending on your negotiation skills and capabilities. Want a big raise? Make contributions that make or save the company money- and be able to talk about their impact! You may know what projects you worked on recently, but do you know what you did at the beginning of the year? Take some time right now to write down some initiatives you either lead or were a part of. Go ahead. I’ll wait. You can save a lot of the wracking your brain by documenting your projects and accomplishments as you go. I use Evernote for most note taking on the fly, but my current organization won’t let me use that for compliance reasons. For work, I opt to use OneNote, which is included in the Microsoft Office suite. Remember the big breakthroughs and milestones you had this year. These are your accomplishments and proof that you are actually making or saving money (same thing), which is evidence that they can pay you more to do more of that. Let’s say that you can easily get a raise right now. Good for you! You still need to know what direction you want to take your career in. You want to avoid getting raises that are going to push you into areas of responsibility that you don’t want. For example, let’s say you ask for a 15% raise, and you boss says yes, but you have to heavily invest in a technology you don’t like or don’t see a future in (like, I don’t know, let’s say Novell Netware). While it might net you an immediate or short-term gain, over the long term, it can hurt your career. Instead, do like Dr. Stephen Covey recommended in his book, The 7 Habits of Highly Effective People– begin with the end in mind. Take some time now to visualize where you want your IT career to be in 5 years. Where do you want to work? Do you want to work for a specific company, or start your own? Do you want to work from home, or would you rather work from an RV at Yellowstone or a Caribbean island? What technologies do you want to work with? Write down the answers to these questions, then yourself- what will it take to get there? What must I do now, this month, and this year to put me on my way? Now that you have an idea of what you’ve done in the last year and what you want to do, you can begin to build your road map. This road map is a document that you will use to frame and guide your discussion with your manager. It will logically step them through how you’ve contributed and what you’ve done to where your skills and ambitions will take you in the next year- and how they can keep you while you grow! I had one of these conversations with my last boss just a couple of months before I got my new job. During the course of that conversation and some subsequent ones, I figured out that I would not be getting the kind of raise I wanted from that company, so I used it to spur me on to get a raise from another one! Timing is important. I did my last meeting a month before my annual review. This is the time you should be thinking about the last year anyway. If you are underpaid and/or you have completed a big money making or saving project with real bottom-line impact, you should have this conversation when that project is over and has started to realize the gains. It’s important to note that this road map is a conversation starter, not something you email or drop on your boss’s desk before walking out. You’re highlighting the last year, then showing where you want to go, and then getting ideas from your boss. Your boss may have a different vision than you do. Since this is a critical conversation, book time on your manager’s schedule. Plant the seed that you want to talk about the last year (or whatever) and where you see yourself going next. This will give them some time to (hopefully) prepare for the talk. Review your road map in advance of the meeting, then make a couple of extra copies- one for your manager and the other for you- just like it’s an interview. Be prompt for the meeting. Consider dressing slightly better than normal to give a good image. Then, just have a conversation. Not just you talking, but asking questions, asking what they think. Getting feedback is critical, especially when you get to the next 12 months, since you and your boss might differ a little. One of the best ways to get a raise is to conduct a stealth job search. You might think that’s an extreme step, but in reality, it’s critical. Being prepared to walk will give you a great deal of confidence in this process. Getting one or more competing offers will 1) let you know what you’re worth in the market and 2) give you an option if you really can’t get the raise you want at your current company. If you’ve got a competing offer in hand, you can use it as leverage to get the money you want, but you must be prepared to exercise that option. disagree with your level of accomplishment or contribution. tell you there isn’t money in the budget. be irritated that you asked for more money. decline to talk with you about this at all. If you clearly documented your contributions, look back at them. Did you overstate how involved you were with some projects? You are the salesman here- if you don’t do a good job at selling your raise, it’s not your boss’s fault- it’s yours. Go back to the drawing board. Maybe you really haven’t done much to merit an big increase. Your peers might be able to give you feedback here. There may not be money in the budget. Not a whole lot you can do there. If you boss is irritated that you asked for a bigger-than-normal raise, or doesn’t want to talk at all, those are warning signs for you. You should consider moving on to another company. 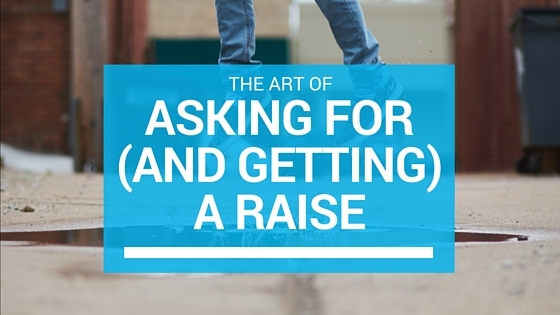 You can vastly improve your earnings if you are strategic about your getting a raise. Know yourself, your job market, and your contributions and you can make a good case. Plan your meeting and also on backing up your talk with another job, and you will, one way or another, get that raise you’re after. What are you waiting for? Get to work! You’re worth it, and your time investment will pay off. Thanks for reading!